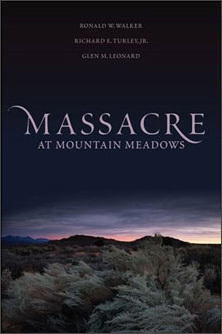 Dave Wood, past vice-president of the National Book Critics Circle, writes: “My wishes were recently fulfilled with a new book, ‘Massacre at Mountain Meadows,’ by Ronald W. Walker, Richard E. Turley and Glen M. Leonard . . . It’s a shocking story, well-documented, neither an expose or a cover-up.”.